We're all for renovators improving property for resale and putting a profit in their pockets, but sometimes they shoot themselves in the foot by making poor design choices that are too taste-specific or, as the case may be, devoid of taste at all. Not too long ago we showed a downtown dwelling that featured my number one No-No. What's that you ask? It's recessed lighting overkill. 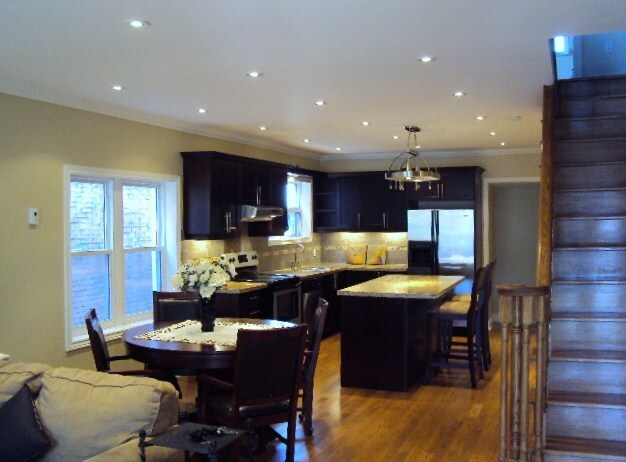 Here's a past blog on it called We Flip Houses, Not Burgers! 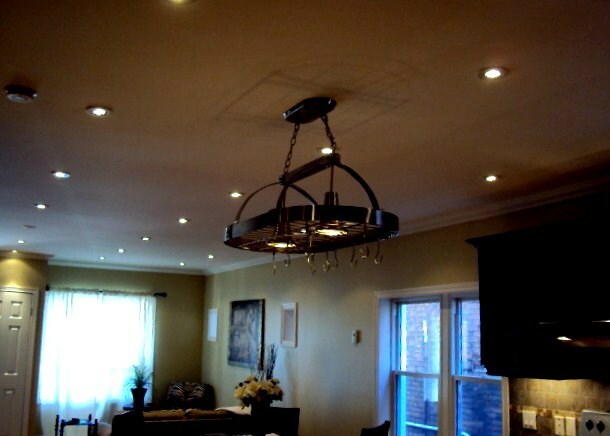 In this latest flipper property we counted 32 recessed lights embedded in a ceiling with dimensions of approximately 14x34 feet! Worse, there was not a single dimmer switch to be had. With that amount of wattage, we're pretty sure the interior looks like a Walmart Parking lot at night. Ugh! 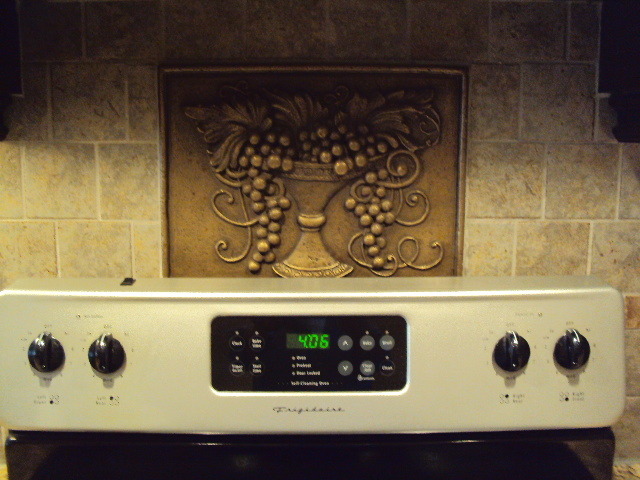 This renovator also ponied up some extra dollars to install this very taste specific 'Urn of Grapes' as a backsplash 'feature', but forgot to take into account the dimensions of the Frigidaire stove. Oops! There are a couple of lessons here. First, this house won't sell for more money because this renovator spent extra bucks to install this 'piece de resistance'. Second, if you're going to try add a little bling, make sure you execute it properly. Profit is in the details! Big Box Home Improvement stores exist because they're easy, convenient and frequently open 24 hours. They're also well-priced and budget friendly because they sell masses of product to the, er, masses. And for the creatively challenged it's easy to point at an in-store model kitchen and say "I'll take one of those!". But it doesn't mean you should go to one big box store for one stop shopping to renovate your one bland house. The risks are potentially too great and the rewards are potentially too small. These flippers have hedged their financial bet that the masses who shop at big box stores will love this and their dwelling will get snapped up (it's now 60 days on the market with two price reductions, currently offered in the mid600s), but in doing they've turned off all the buyers seeking a property with 'character', 'style' or a 'designer decor'. In trying to appeal to the masses they've alienated every other target market which, ironically, in urbane downtown Toronto is larger, more affluent, and willing to pay a premium for a property that has been customized and well-executed. Furthermore, in using these easily identifiable materials and fittings, any well-informed or sleuthing consumer can easily attain estimates on how much all of this cost, giving them greater power to whittle down any potential profits by negotiating hard with the Sellers.